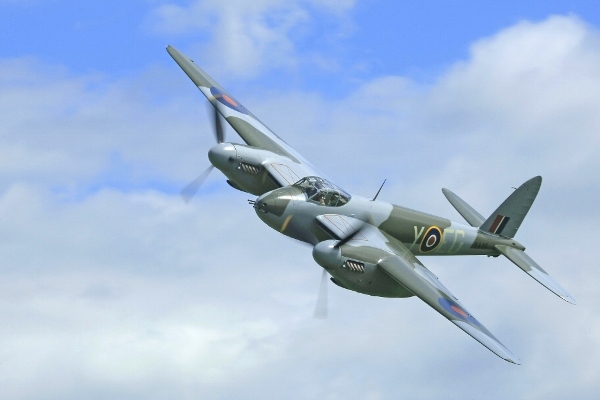 The Mosquito, which was originally conceived as a bomber, became one of the war's most potent fighters. The "Mossie" was built mostly of molded plywood, a nonstrategic material. © The Aviation History On-Line Museum. All rights reserved.